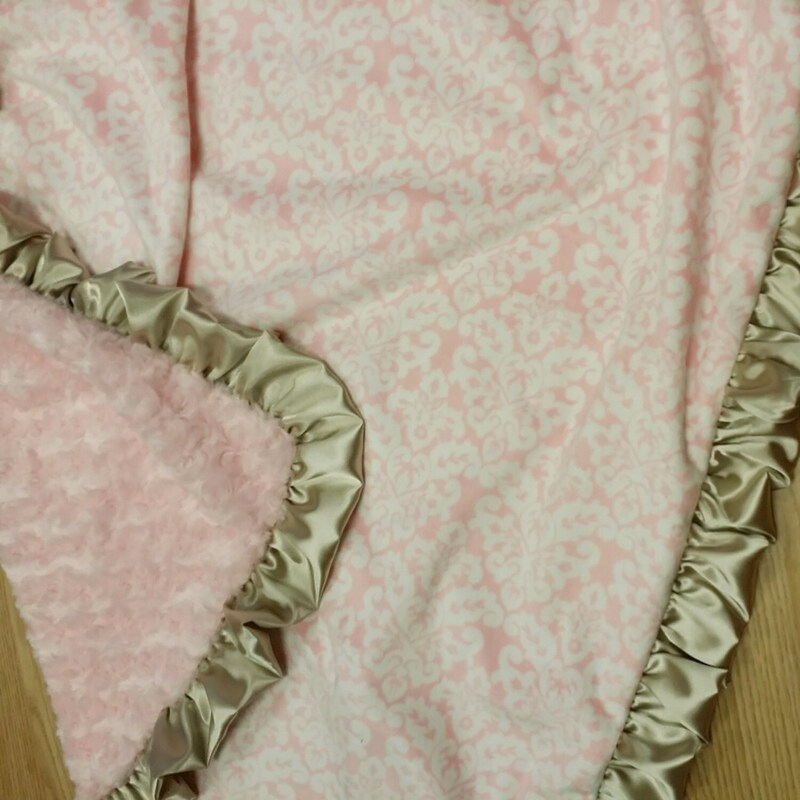 Baby Pink Damask, Minky, Baby blanket. This luxurious minky blanket has been finished with a metalic soft gold satin ruffle. 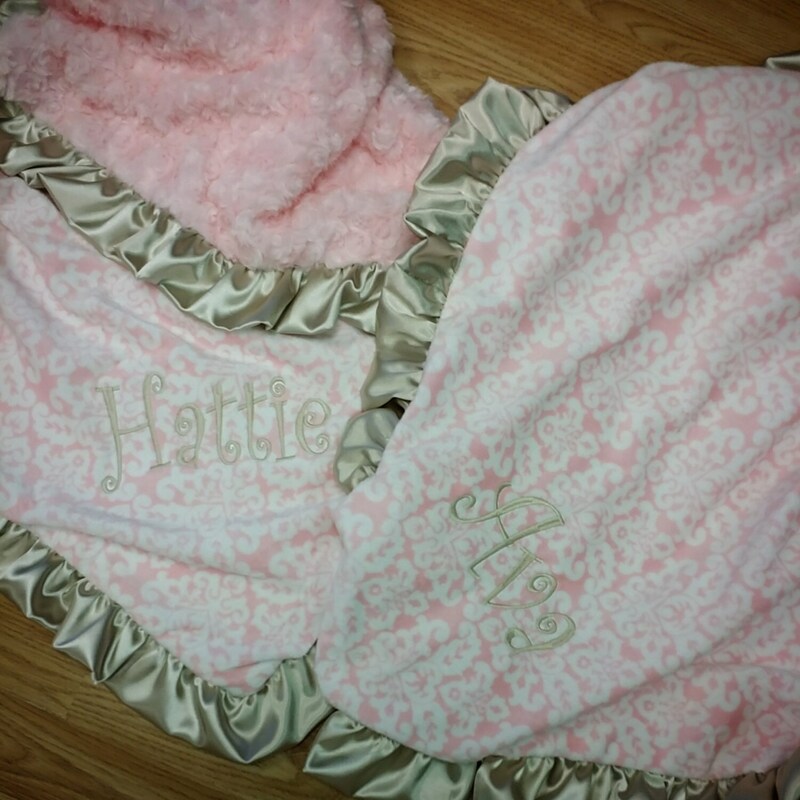 This has baby pink and white damask on top and baby pink minky rosebud on the bottom. This blanket is made to order. Please allow 5 - 10 business days for item to ship.